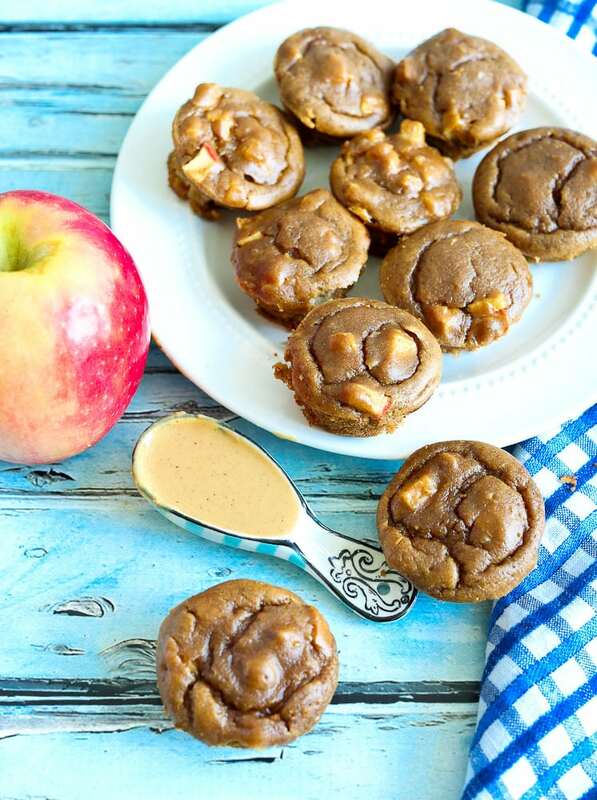 These 20 apple recipes are perfect for fall! Find your favorite healthy apple recipes in this list. It’s that time of year. 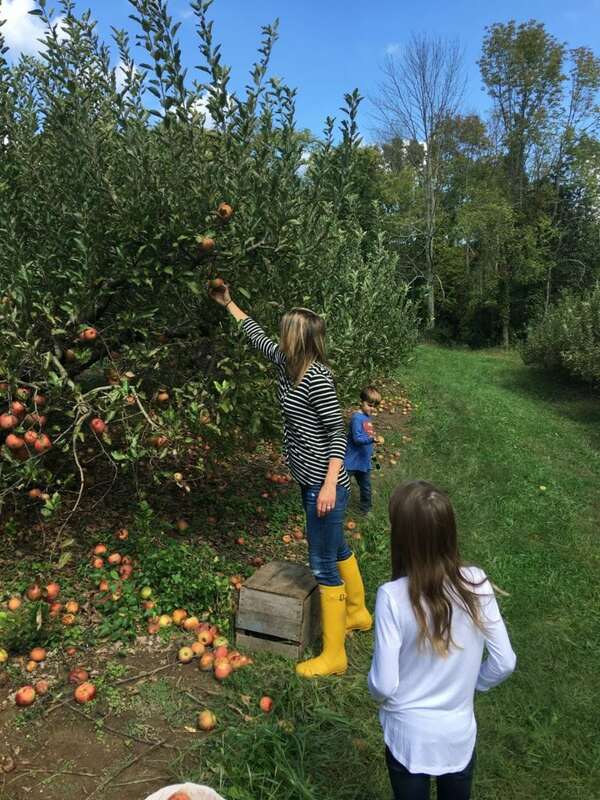 If you’re lucky enough to have an apple tree in your yard, you might have an abundance of apples, ripe for the picking. If not, you can do like we do and round up the fam and head to a local orchard. Once you get home with all your freshly-picked apples, you’ll need some recipes, right? Well, I’ve got you covered! These are my favorite apple recipes that I love making every years when the air turns crisp, leaves start to change, and you start reaching for your sweaters instead of t-shirts. These Simple Baked Apples are one of the most popular recipes on my blog. They are simple to make (hence the name! 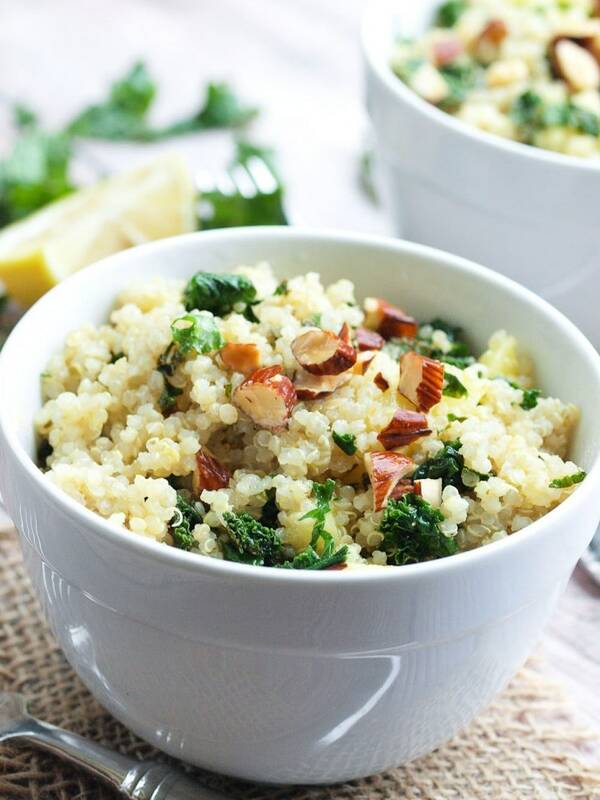 ), have no added sugar, and make a perfect side dish that goes with most dinners. The kids LOVE these! 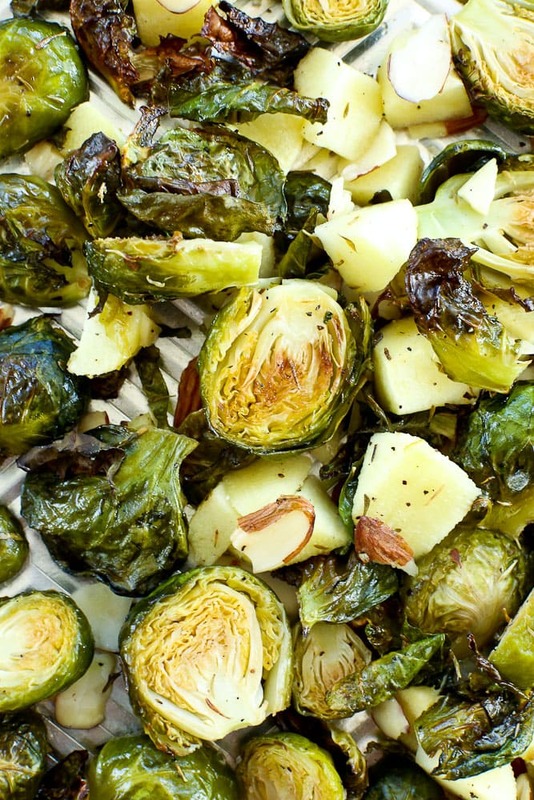 Adding sweet apples with brussels sprouts and roasted them together is a beautiful thing! With a little crunch from the almonds, this recipe for Roasted Brussels Sprouts with Apples and Almonds is a winner. Maybe you don’t want to make something with your apples, but want a tasty and healthy DIP? Oh, yeah! 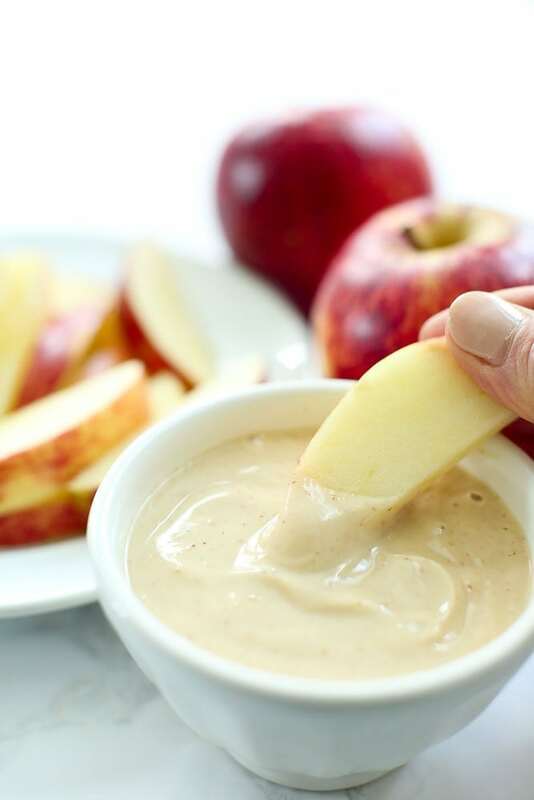 This Yogurt Peanut Butter Apple Dip is just what you need! These Apple Peanut Butter Blender Muffins are quick, easy, and make the best little snack or breakfast! They are a great gluten-free muffin that everyone loves. Ooey, gooey, baked oatmeal!! 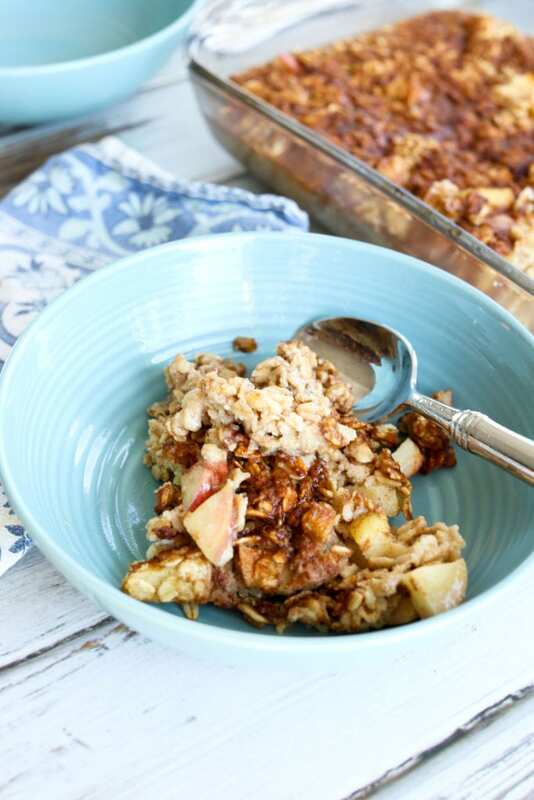 This Apple Cinnamon Baked Oatmeal is the perfect cozy breakfast for fall mornings. One of my favorite parts about fall is the soup! 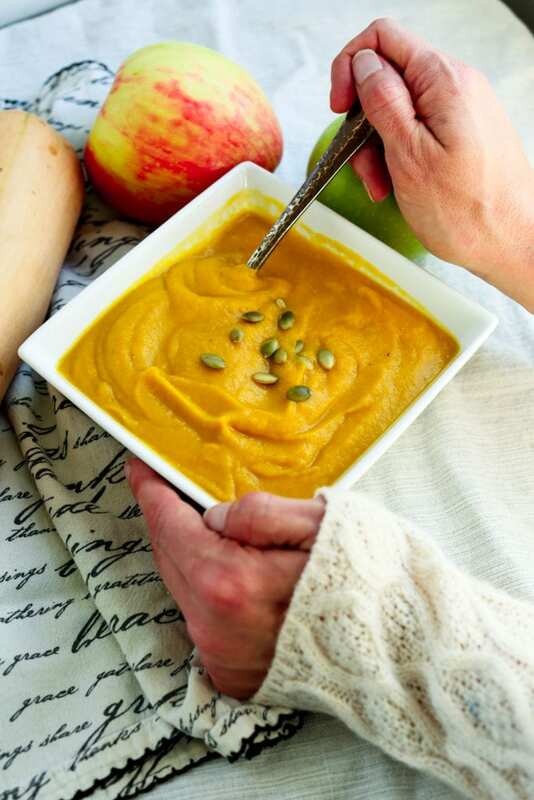 This Butternut Squash Apple Soup is one of my very favorites that might become a family favorite for your family. These Vegan Salted Caramel Apple Pie Bars are an absolute favorite dessert! They are an indulgence, but with much less sugar than typical desserts. Forget everything you think you know about whole wheat pancakes. 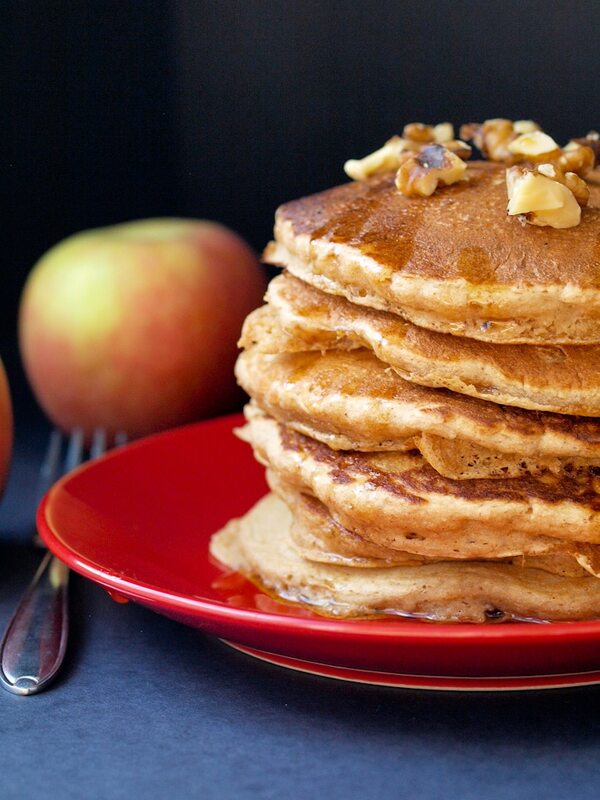 These Whole Wheat Apple Pancakes are SO light and fluffy you’ll never believe they are made with whole grains. I could not love these more. 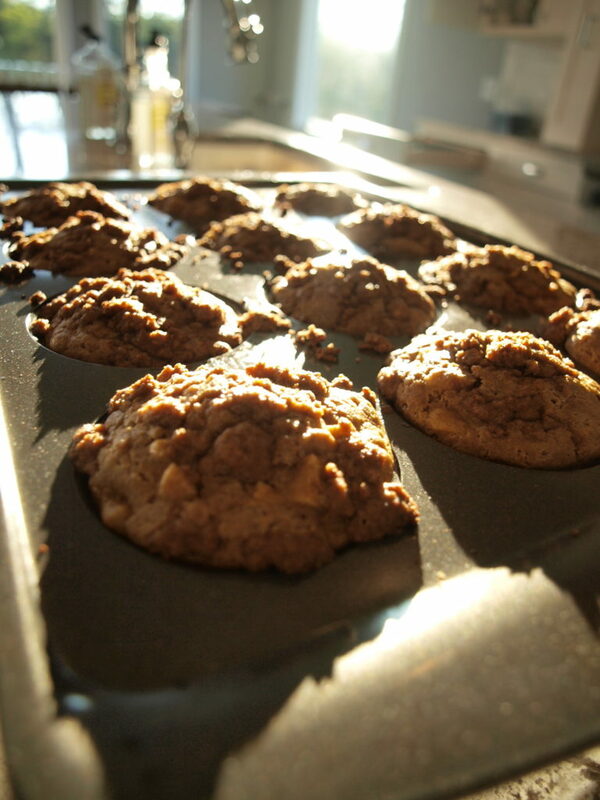 Despite this old, ridiculous picture, these Apple Cinnamon Crumb Muffins are amazingly good. And they are made with whole grains and no refined sugar! This quinoa bowl (or “warm quinoa salad” as I called it in 2012) is still a regular lunch around here. So much goodness in one bowl and it’s filling and satisfying. 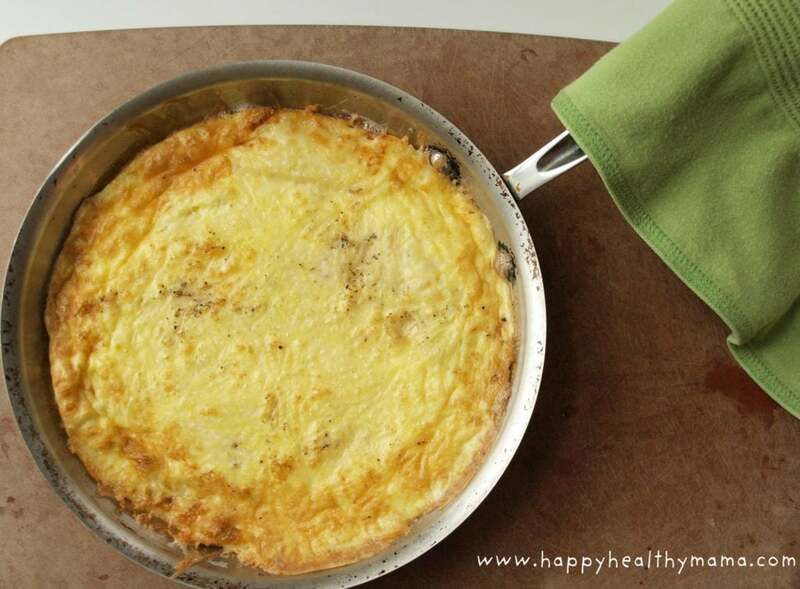 Another old picture, but this Apple Cheddar Frittata is such a fun, unique way to enjoy eggs for breakfast, lunch, or dinner! Apples and cheese are a classic combination that works so well here. 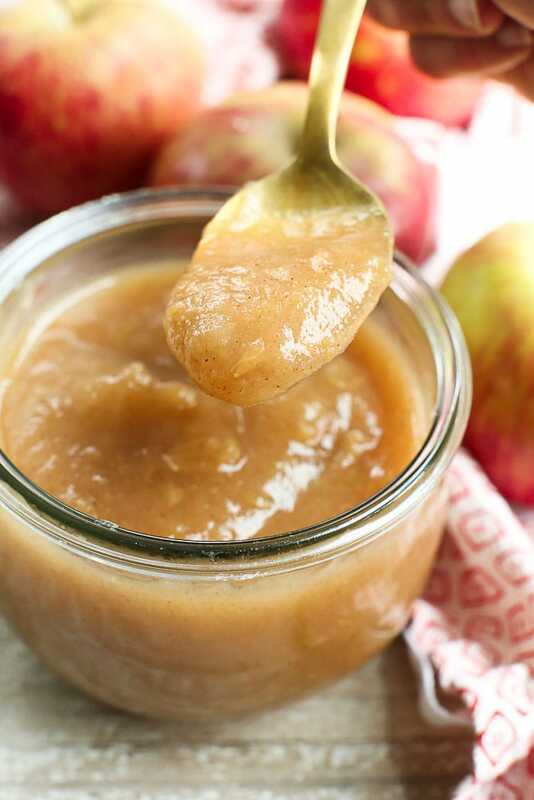 This Instant Pot Applesauce is my most recent of apple recipes and it’s a good one! SO easy and delicious, I can’t think of a reason why you shouldn’t make your own homemade applesauce. 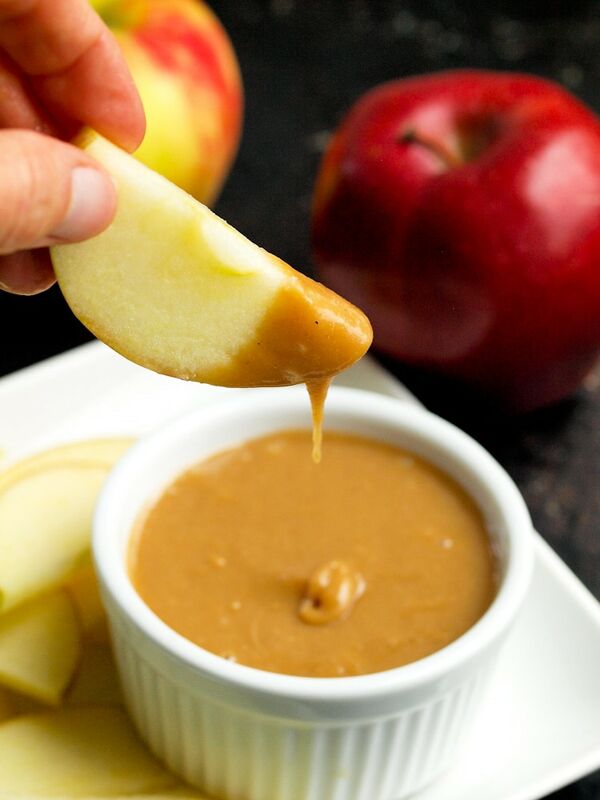 This Vegan Caramel Apple Dip will blow. your. mind. Just TWO ingredients and the flavor is absolutely incredible. Fair warning: this stuff is addicting. 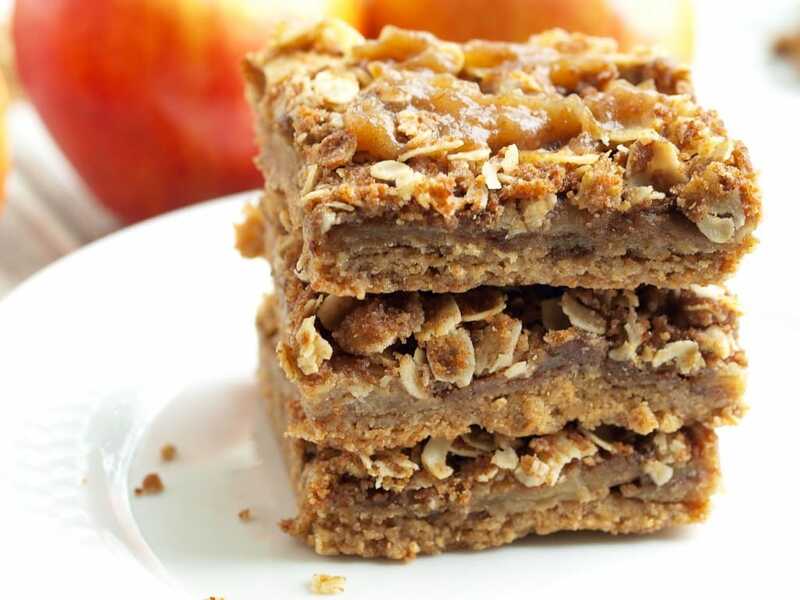 For all the snack monsters in your life, these Apple Peanut Butter Snack Bars hit the mark. They are gluten-free, dairy-free, and satisfy that sweet tooth, also. 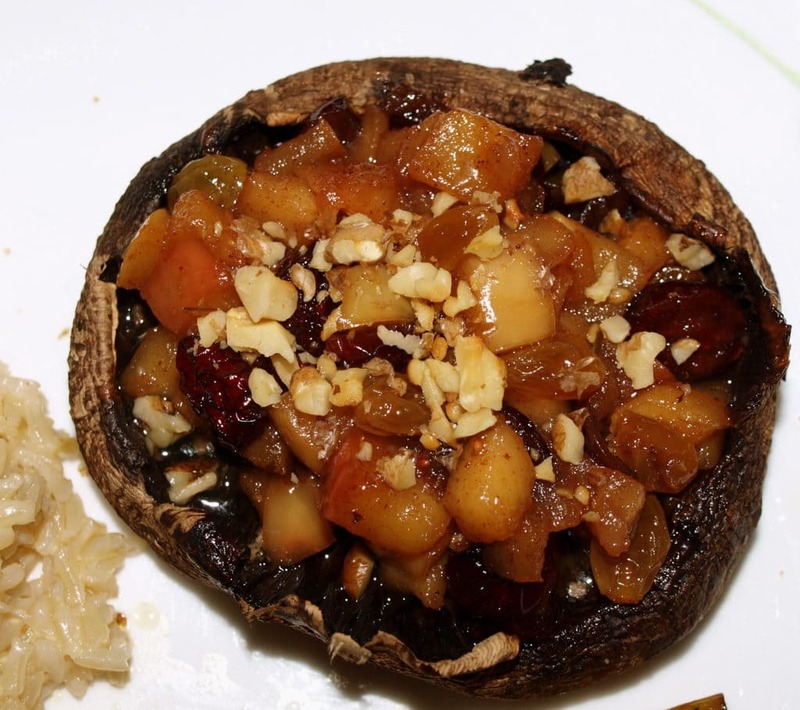 This Apple Chutney Stuffed Roasted Portobello Mushroom is such a tasty vegan and gluten free main course. I couldn’t let my list of apple recipes be without this gem! 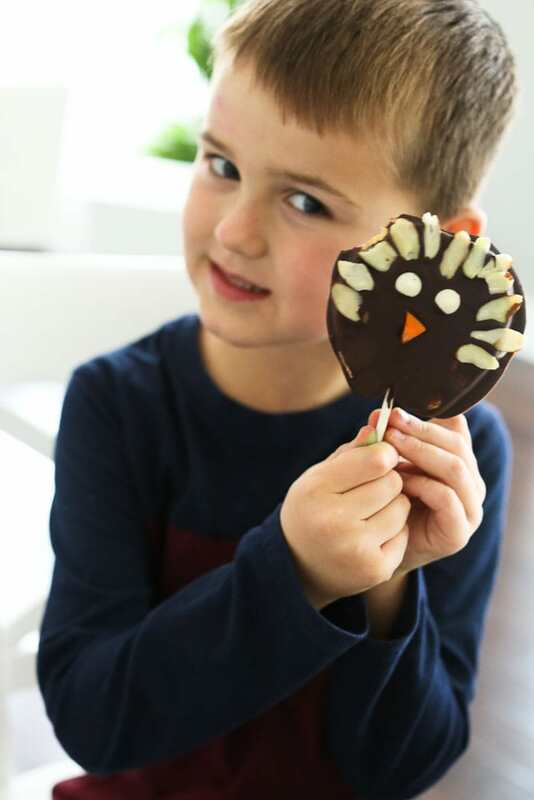 When Thanksgiving rolls around, don’t forget about these Chocolate Covered Apple Turkey Pops. They are adorable, make a healthy treat, and the kids love helping make them! Switch up the way you use your canned tuna! 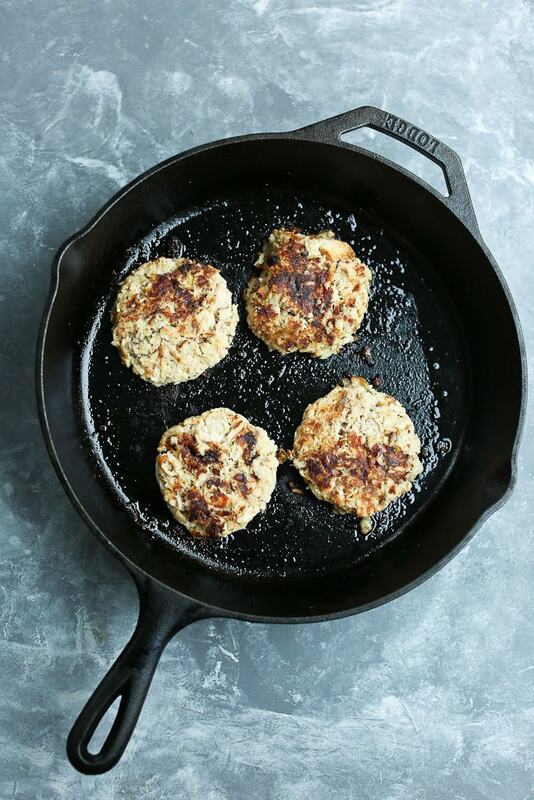 These Apple Cheddar Tuna Patties make a easy and healthy low-key dinner! 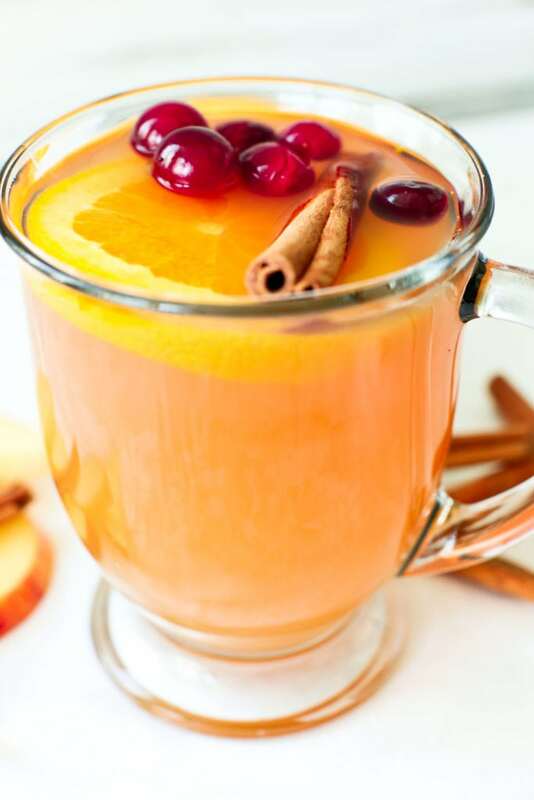 This recipe for Mulled Apple Cider uses apple cider, not whole apples, but I had to include it here because it’s a fall must-make. It’s perfect for a crowd and easy to make in your slow cooker! 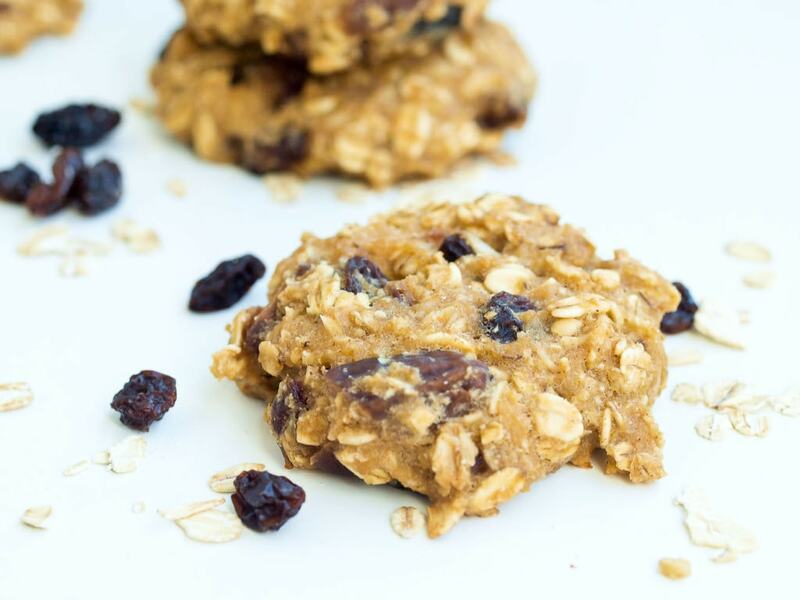 When you make your homemade applesauce, you can use some of it to make these Applesauce Breakfast Cookies! 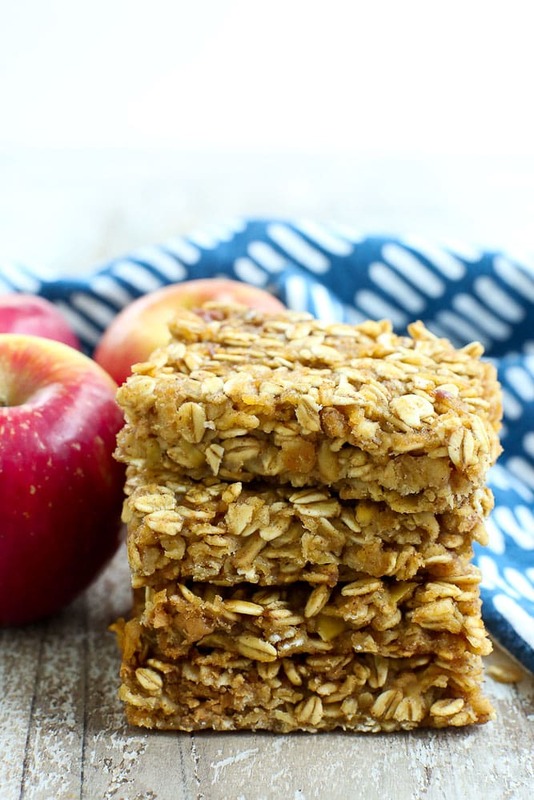 These are healthy and nourishing, and are great for breakfast or a snack! 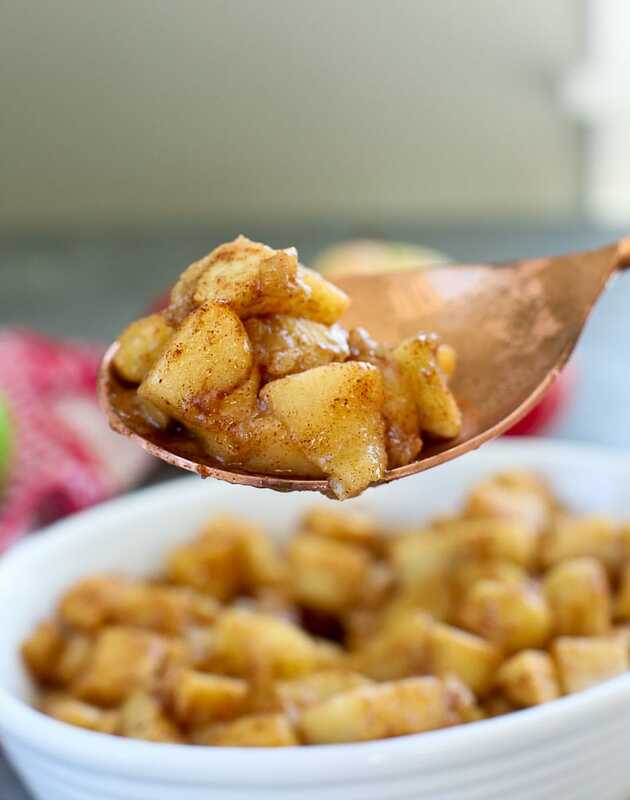 These another one of my apple recipes that uses apple cider instead of whole apples. 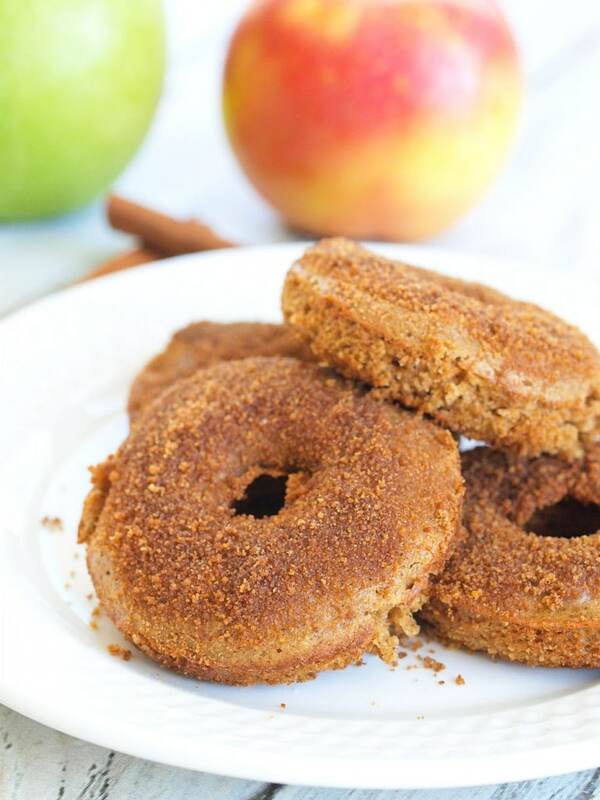 You won’t be able to resist these healthy baked donuts! 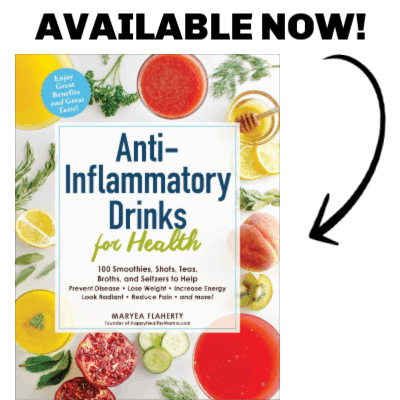 They are a fall favorite and you really need to try them! Are you as excited as I am to dig into all of these apple recipes? Tell me–which one will you make first?! Wow.Looks amazing & delicious. Definitely wanna make one for my hubby tonight. Thanks for sharing.